“First of all, one should hand his soul to God,” advised the teacher. “I won’t vote for anyone,” replied the teacher. One day the teacher-polyglot Oleg Palamarchuk met his old friend. “Why don’t they themselves do their own business?” the student was surprised. INVESTMENT BANKER # 1: How fast is your car? INVESTMENT BANKER # 2: Well, it keeps about six months ahead of my income generally. INVESTMENT BANKER DAD: If a man saves $2 a week, how long will it take him to save a thousand? SON: He never would, Dad. After he got $900 he'd buy a car. During a financial panic, a German farmer went to a bank for some money. He was told that the bank was not paying out money, but was using cashier's checks. He could not understand this, and insisted on money. The officers took him in hand, one after another, with little effect. At last the president tried his hand, and after long and minute explanation, some inkling of the situation seemed to be dawning on the farmer's mind. Much encouraged, the president said: "You understand now how it is, don't you, Mr.. Schmidt?" "I t'ink I do," admitted Mr. Schmidt. "It's like dis, aindt it? 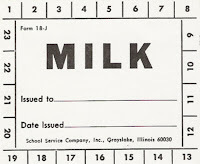 Ven my baby vakes up at night and vants some milk, I gif him a milk ticket."